There are 7 reviews of Angélique. Despite orris and iris notes, I have to search long and hard to find any in Angelique in the opening. There is an odd chalky crayon like note and a slick fatty smell, shea butter like. After some time it does settle down to a very mild iris note, but I'd rather wear Hermessence Iris Ukiyoé. I had to reapply three times during the day as longevity for me was disappointing. All in all Angelique was pleasant around the one hour mark and a very light an airy scent, but I would shelve it with the typical Jo Malone perfumes - overpriced room spray. I would love this scent for my lingerie drawers or as a reed diffuser. Alcoholic, bitter, and vegetarian is the beginning of a quartz while you will not find an accordion. Then it gets a little hot and smoky and spicy. It's not too hot, it will have a quick, quick start. Smell a little smoky, sliver, and mildew bread, and you'll understand that it's from the Champaca tree. It's a mushroom in English ...! In this step, you will feel the warmer and more powdery aroma of this fragrance than the start of the perfume. It will not last much longer. Only the powdery and mildewed mode will remain at this stage with a little moisture. The bean patch will relax in the space of the fragrance. An aroma with a dry, mysterious, mysterious atmosphere, like the dark, strange, old and fearful of unknown places. My understanding of perfume was this. Early on, I had a sense of failure and discomfort with the perfume experience, but when I allowed the perfume to form my own mind, I was eager to continue working. 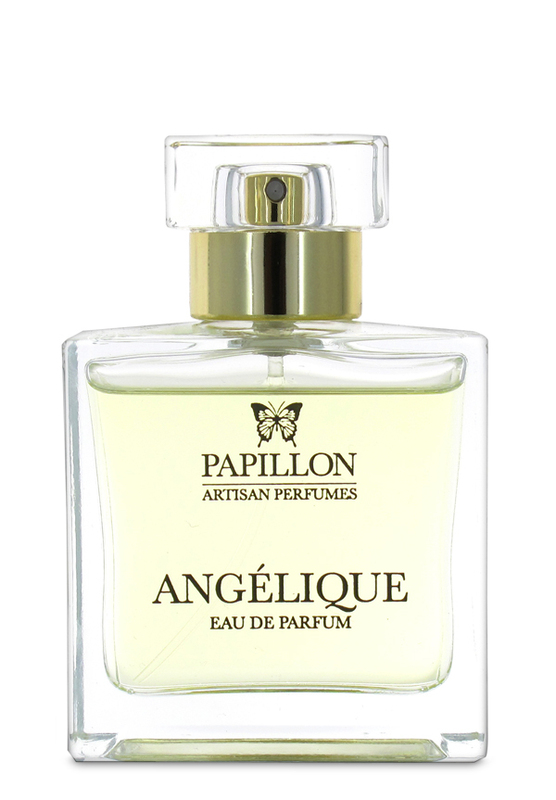 Comparing Angelique perfume with other Papillon fragrances, Ms. Liz Moores was expecting more perfume because I used to admire special chords to create this work. Mrs. Liz Moores is likely to have a special personality who creates special perfumes. What I saw in most of their work is that they are bipolar ...! I'm in Salamé and Angelique in the Bounty Humor or Hate ...! You can use this fragrance all year round. But because of the fragrance of the second half of the year, it is better to choose. This is a floral opening, but it is not a terribly sweet and soft floral character I am encountering here. The iris dominates, but it has a woody and aloof side to it, with the mimosa greener that expected - restrained mimosa leaf with a more discreet sweetness so to speak more than the blossomy in-your-face sweetness. The drydown with the added orris and champac emphasises the woodsy/spicy/earthy side of this composition, never overwhelmingly floral. The performance delivers moderate sillage, good projection and eight hours of longevity on my skin. A spring scent with an interesting take on floral characteristics in general, but the drawback is a certain lack of intensity and richness. A good fragrance for those who only want a lighter and less directly floral scent, a 'floral-lite' so to speak. 2.75/5. After application I'm enveloped in a buttery cloud of Iris coupled with a apricot like sugary sweetness coming from the mimosa petals. This is all on a woody backdrop which underpins the scent at this time. The scent is floral and a bit powdery though unmistakably feminine. I could appreciate smelling this on a lady but could not wear this one myself. All in all a nice fragrance. How to get inside a tin of Danish butter cookies – that’s the opening lesson of Angélique. The butterfat accord is so soft, delicious and unique (though, I hasten to add, without the cookie sugariness), one needs to try this just for that effect alone – miles from the usual orris butteriness. The second surprise Angélique offers in the course of its development is that it isn’t really a floral in the traditional sense at all – despite osmanthus, champaca and mimosa being listed in the notes and the perfumer’s stated inspiration being the delicate scent of the flowers in her garden which led to an attempt to make an olfactory portrait of the iris pallida flower. Well, take that with a huge pinch of salt and enjoy Angélique for what it really is – a lemony cedar with a non-smoky frankincense accent suffused with that light, buttery aura. Delicacy is its abiding aspect, difference is its trump, and it offers instant uplift. There are no member images of Angélique yet. Why not be the first?